Last month we looked at trendy vitamins and dietary supplements like lutein and collagen. 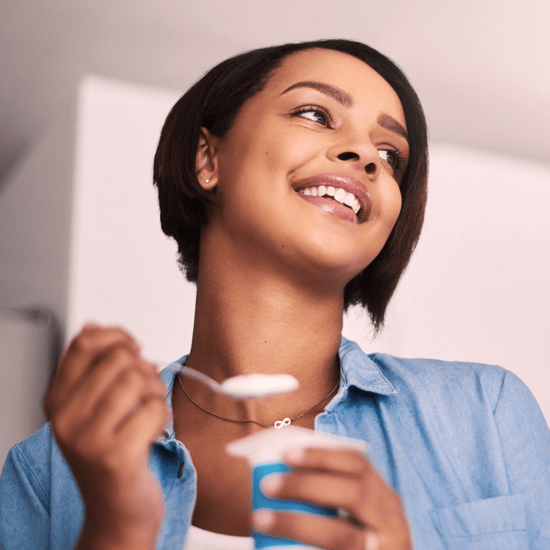 This month we’re shining our spotlight on probiotics, the health food phenomenon that’s worth more than $370 million a year and is projected to increase to $2.6 billion by 2024. Probiotics are live bacteria and yeasts that help keep your gut healthy. They’re useful in replenishing your natural gut bacteria after you’ve taken antibiotics for a cold or infection. And, year-round, they’re a good way to keep your body functioning at its best. The most common kinds of probiotics are lactobacillus (often found in yogurt and other fermented foods), Bifidobacterium (also found in dairy and may ease symptoms of irritable bowel syndrome or IBS) and Saccharomyces boulardii (a yeast that may fight diarrhea and other digestive problems). Long story short, these and other probiotic critters help your gut more efficiently process the food you eat. They may also promote urinary and vaginal health, oral health and prevent allergies, colds and skin conditions like eczema. · They’re not regulated by the FDA – probiotics are dietary supplements, not drugs, so they aren’t as strictly regulated and don’t go through the same rigorous testing. · Side effects sometimes – you may develop gas or bloating for a few days when you first start taking probiotics. This is simply your body getting used to them. · Best before – probiotics are living and decay or die over time, so for the optimal effect, it’s best to eat or drink probiotic foods while they’re still relatively fresh. · When can they be unsafe? Anyone with a weakened immune system, for example cancer patients, people who need heart valve surgery or are undergoing an organ transplant, should avoid probiotics because of a small risk of infection. · Price points – at about $1 a dose, probiotics can be pricey but don’t be fooled into thinking more expensive varieties are better. Probiotics are thought to be safe for most people but it’s a good idea to speak to your doctor or dietician before using them. Do you take probiotics? What’s your favorite kind and how has it helped you? Share your experiences with the Shop Talk blog community forum!